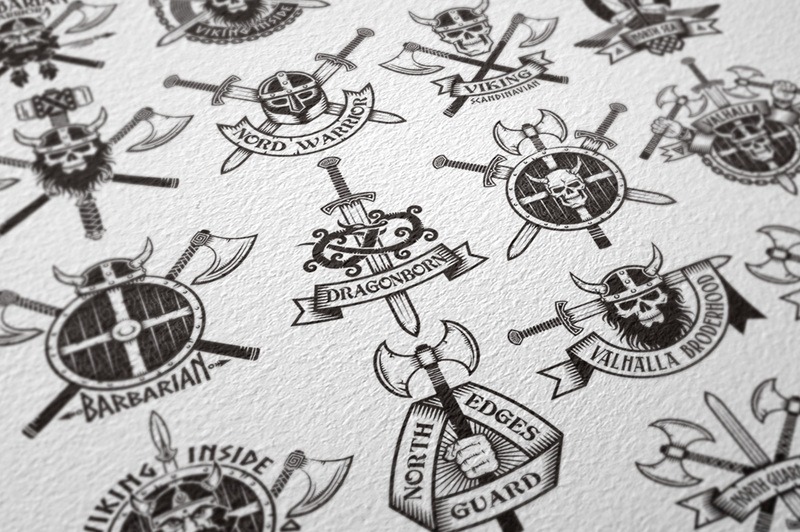 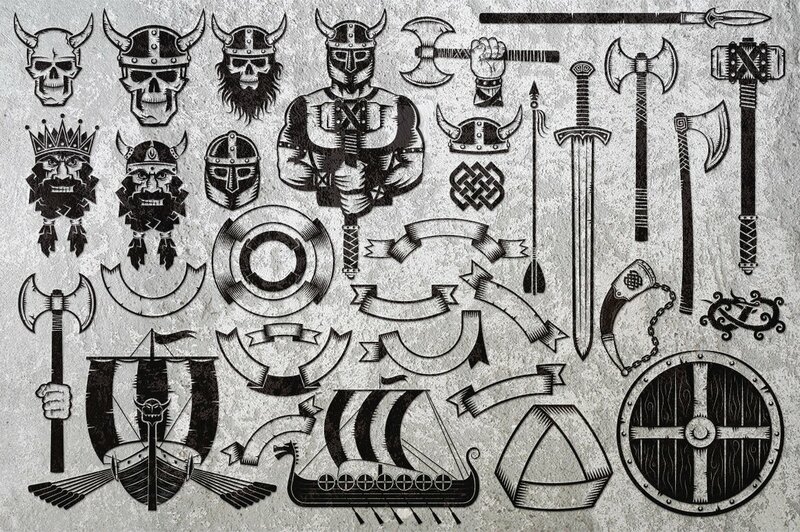 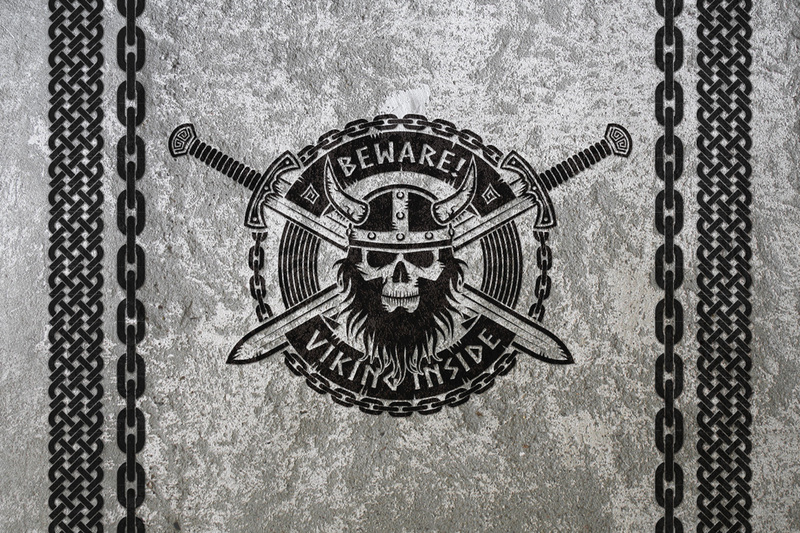 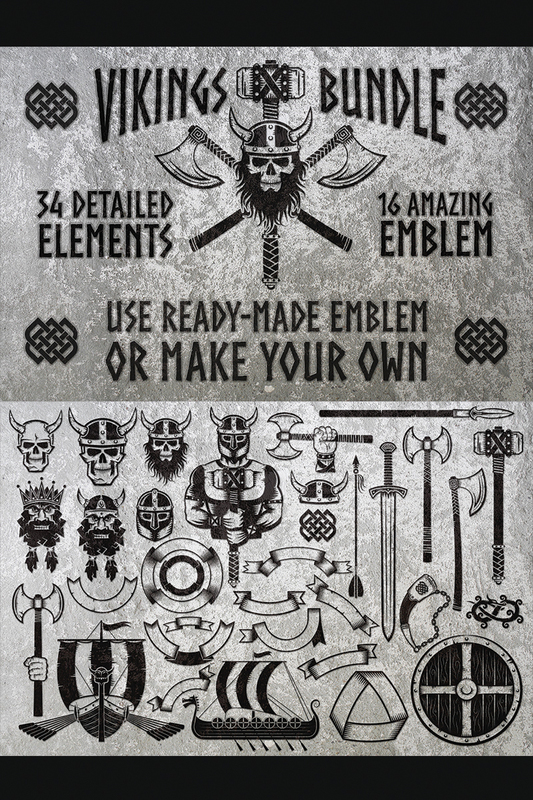 Amazing bundle of vikings designs and emblems, vector and raster versions. 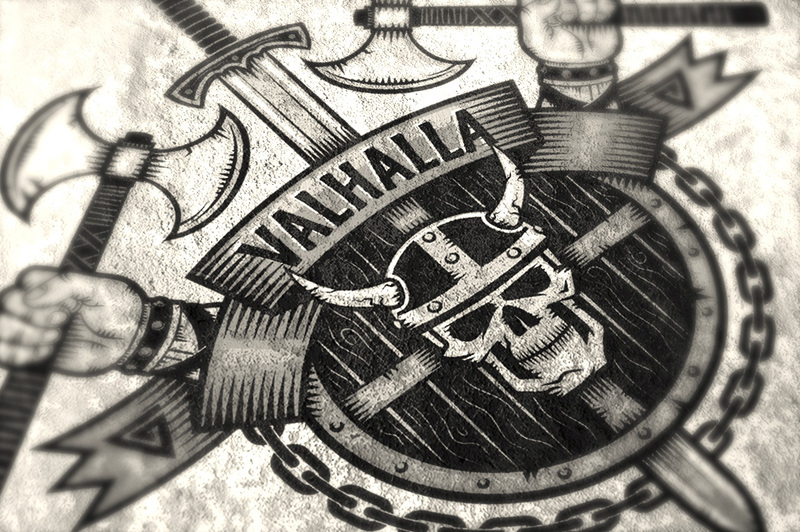 Perfect for use on tattoos, t-shirts, mugs, cards, and other items of identity. 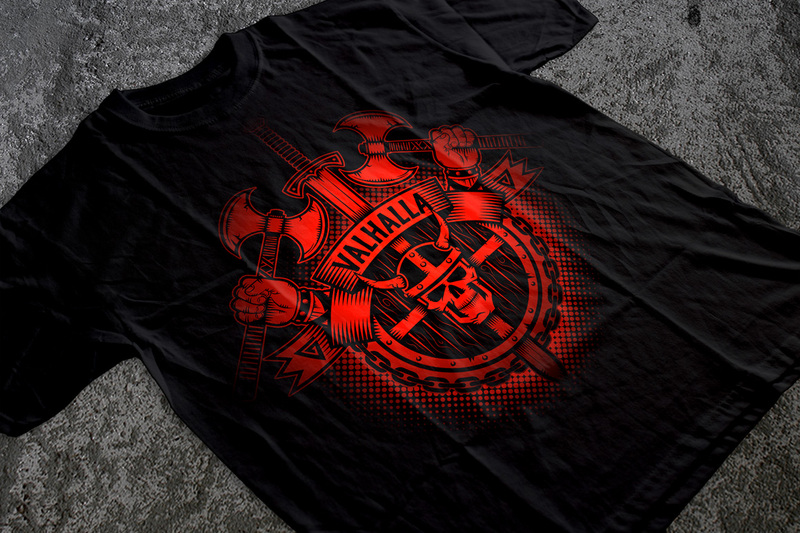 You can use existing logos or design your own from the enclosed items.